With production already under way on Warner Bros.' Harry Potter spinoff Fantastic Beasts and Where to Find Them, the cast keeps growing. The Hollywood Reporter reveals that three new cast members have signed on, Gemma Chan, Jon Voight and Carmen Ejogo. No details were given regarding the characters they are all playing. The story takes place years before Harry Potter and his friends Ron and Hermione made their way to the legendary Hogwarts School of Witchcraft. Academy Award winner Eddie Redmayne stars as Newt Scamander, the wizarding world's preeminent magizoologist, who stops in New York following his travels to find and document magical creatures. Newt Scamander's Fantastic Beasts and Where to Find Them will become a textbook that is used by the students in their studies. Fantastic Beasts and Where to Find Them also stars Katherine Waterston as Tina and Alison Sudol as Tina's sister, Queenie, the two female leads of the movie. The supporting cast includes Dan Fogler as Jacob, Ezra Miller as Credence, Samantha Morton as Mary Lou; Jenn Murray as Chastity, Faith Wood-Blagrove as Modesty and Colin Farrell as the wizard Graves. It isn't known how many characters have yet to be cast, as filming continues in the U.K.
David Yates, who directed the last four Harry Potter movies, is directing from a script by J.K. Rowling, who makes her screenwriting debut with Fantastic Beasts and Where to Find Them. David Heyman, producer of all eight of the blockbuster Harry Potter features, will produce alongside J.K. Rowling, Steve Kloves and Lionel Wigram. Warner Bros. has set a November 18, 2016 release date for the spinoff, which is currently the only movie slated for release on that day. Gemma Chan can currently be seen in Shanghai, and she also stars as Anita on AMC's hit sci-fi series Humans. 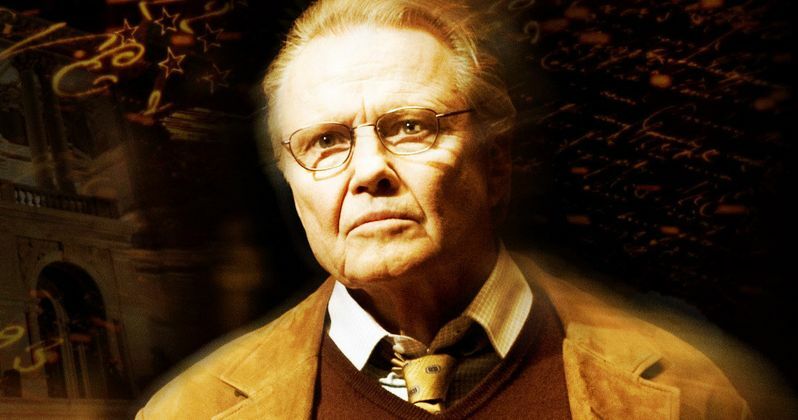 Jon Voight will next be seen on the big screen in Woodlawn, and he recently wrapped up the third season of Showtime's Ray Donovan. Carmen Ejogo was last seen in the Oscar-nominated drama Selma, where she played Coretta Scott King, the wife of Martin Luther King (David Oyelowo).